Red sits at the window carrying a basket of food. Justin takes the seat beside her. Justin: Don’t I know you from somewhere? Red: I … don’t think so. Justin: Yeah, aren’t you that chick who gets eaten by a wolf? Red: (eyes widen) Ooh, I hope not! Justin: You’re not going to your grandma’s house, are you? Red: Yeah … I just left my mom’s place. I’m on my way to drop off some goodies. Justin: It’s not safe out there alone you know. I can walk you there if you’d like. Red: (smiles) I made it there without incident the last two days running. Justin: Well you know what they say: three times lucky. Or unlucky. Or something. Red: How do I know you’re not a wolf? Justin: Pfft. Who, me? Nah. I’m just a bouncer in a dungeon. Red: (eyes widen even more: slowly nods head) Now THAT sounds like a trustworthy profession. I think I’ll take my chances. Thanks anyway. Categories: fiction, Scecond Seat on the Right | Tags: big bad wolf, fairy tales, fanfiction, Flash Fiction, humorous fiction, Justin, micro fiction, pick-up lines, Red, scene, short fiction | Permalink. Red sits at the window. Simon takes the seat beside her. Simon: Nice basket. You look like Little Red Riding Hood. Simon: Never mind. You going to your grandma’s house? Red: How did you know? Red: I went yesterday, but I forgot the bread. Simon: You really want to take the chance, going back twice in two days? Red: What do I look like, a chicken? Simon: I could go for some white meat. Red shakes her head and turns to the window. Red: (turns back) Anyone ever told you you’ve got a big mouth? Simon: (smiles) All the better, my dear. Categories: fiction, Scecond Seat on the Right | Tags: big bad wolf, cannibalism, fairy tales, fanfiction, Flash Fiction, humorous fiction, micro fiction, Red, scene, short fiction, Simon | Permalink. Drommen sits at the window. Red takes the seat beside him. Drommen: That’s a nice cape you have. Red: Thank you. (holds up a basket of goodies) I’m going to visit my grandma. Red: But I might be lost. Drommen: This bus doesn’t go to the woods. Red: What makes you think I’m going to the woods? Drommen: Isn’t that the way the tale goes? Red: What tale? Anyway, I’m heading for Maple Street. Do you know where it is? Drommen: (cocking his thumb over his shoulder) Back that way. Red: Darn! I’ll have to get off the bus at the next stop. Drommen: You know, there’s no way I’m going to beat you to your grandma’s house. Red: (frowning) I don’t expect you to. Drommen: (smiles) You never do. Categories: fiction, Scecond Seat on the Right | Tags: big bad wolf, Drommen, fairy tales, fanfiction, Flash Fiction, humorous fiction, micro fiction, Red, Red Riding Hood, scene, short fiction | Permalink. It’s my very first interview! Note: The comments here are turned off. Please comment on the original post. 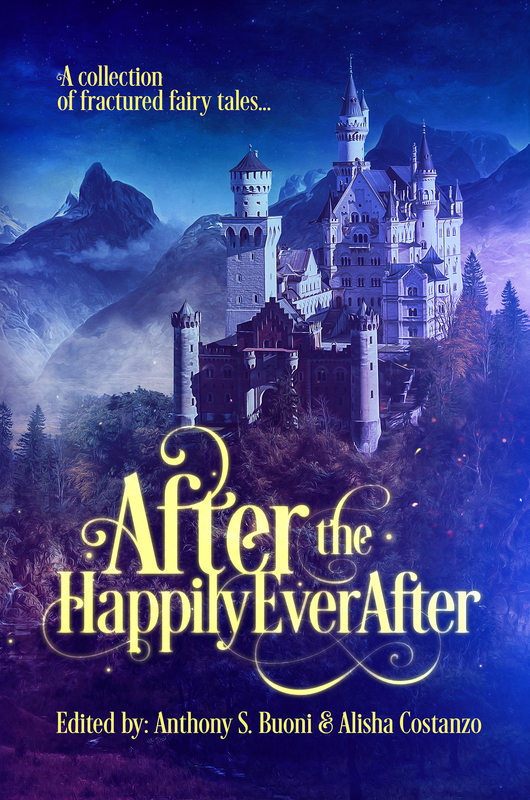 If you haven’t heard about the After Happily Ever After anthology, this interview series is a front row seat into the creative minds of the authors who have re-envisioned the fairy tale world beyond the final credits. 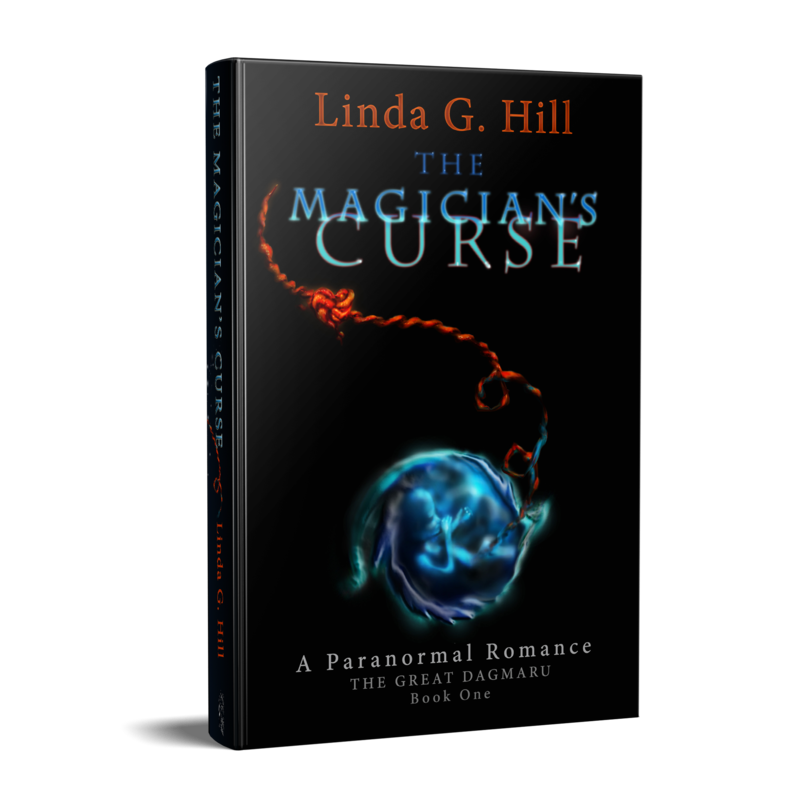 Linda G. Hill has her own creative wonderland to share with us! How did you set upon the path of writing fiction? Categories: Reblogs | Tags: #amreading, After the Happily Ever After, AHEA, Alice in Wonderland, Anthology, fairy tales, interview, short stories | Permalink. After the Happily Ever After – Coming Soon! As you may remember, some time ago I mentioned that one of my short stories (unpublished) was to be included in an anthology. Here it is! Along with this cover reveal is a chance to win a $10 Amazon gift card, as well as a Kickstarter campaign where you can get all kinds of stuff, including coffee mugs, posters, short stories, hard cover editions of the anthology, and even a personal editing session with the Transmundane Press editors. Make sure you check out all the links. And don’t forget to read the teasers: you’ll find mine under the “humor” section. Her complexion had assumed the tainted gray of the corpse, the white of her eyes inebriated red with the wine of ruptured veins, the flesh on her fingers as black as spider legs. For entertainment, she plucked wings from flies and hung their panicking bodies from the gossamer mesh of a spider web draping the dusty corner of her mother’s garret, watching lustfully as the long-legged spider came slowly dancing around his prey. When the mood took, she’d pop the panicky little insect torsos into her mouth. Their sour juices oozing down her throat afforded her an invigorating but fleeting sensation. Mrs Dob. He tapped an inch of ash off the joint. That ridiculous paper turban the child had worn. Evan remembered Jack’s pinched little face looking up at him, so serious, so sombre it made him smile. Dear Jack, have you lost your Jill, too, you poor thing. He took a deep, lungful of smoke. Imagine, Jack and I both losing our Jills. There was a difference though, an important one. Evan knew where his Jill was. Oh, yes, he knew exactly where she was. Hadn’t he carried her corpse, twice as heavy in death, across a ploughed field, staggering under her weight as he tottered over the furrows. The ocean holds many kinds of islands. There are the ordinary sort of islands that stay in the same place all the time, solid reliable islands where men and women raise their children and cabbages. Beyond them lie the barren rocks, swallowed and released as the moon draws the tides, where only the selchie folk live, and the shifting sandbars where the cold mermaidens wait to marry drowned sailors. Then there are hidden islands that appear on no charts. The boats of Land’s Men cannot find them except now and again by mischance, and to land there is perilous. The largest islands have been sighted often enough by Land’s Men that they have names: Thule, Hy Brasil, and golden Atlantis. But most are nameless to the people of the Land, and on these, the Sea Folk dwell. Alice’s psychiatrist, the esteemed Dr. Dinah Fell, promised her the nightmares would stop. And to the doctor’s credit, she seemed to know what she was talking about; six months after the incident when seven-year-old Alice fell asleep under the tree, they had. That was, however, fourteen years ago. Fresh out of college, Alice found a job quickly—to the dismay of many of her peers who had exceeded her in marks, but not in popularity —in the accounting industry for which she had studied. She hadn’t wanted to admit, even to her sister with whom she shared an apartment, that the leering man in human resources hired her based on the length of her legs and the cut of her blouse rather than her qualifications. He reminded her of someone with far too many teeth for the size of his mouth. But regardless, she left her car at home and took the bus to work, knowing that parking spaces downtown were prime real estate. She walked the two blocks from the bus stop—about all she could stand in stilettos—and approached the receptionist at the paneled desk that fronted the office of Queen and Jack Inc . The middle-aged woman with a red bouffant hairstyle studied Alice from top to bottom. Her tight-lipped moue indicated her disapproval of the young woman’s tight sweater and short skirt, but she conceded that there was, indeed, a Mr. Topper waiting to see her in his office. The secretary stood and told Alice to follow. “I’m Rose . You’ll come to see me only when you leave for the day, so I’ll know to take messages. You will not come to me for copies, faxes, telephone books, coffee, or favors of any sort.” She stopped at a door at the end of the long hall and placed her hand on the knob. “Good luck.” She opened the door, and walked back in the direction from whence they had come. “Once upon a time in a land far, far away, Westchester, New York…” Cam pauses. He kisses her all over. His lips are moist, biting, and wanting. He gets to her stomach and kisses a line across it. He rolls her to her side and bites her ample hip, and she squeals. His voice is as thick as the Dublin heat outside of this crisp air-conditioned Hilton. Em almost forgets about the all the hidden trafficking below. How all these people look the same to her. Em almost forgets who she is. “That’s not how it was at all,” she says with giggles. Categories: Cover Reveal, fiction | Tags: #amreading, #newrelease, After the Happily Ever After, Anthology, fairy tales, fantasy, free stuff, giveaways, horror, Humor, romance, Transmundane Press | Permalink.